In 2006, John McCaskey stated in his dissertation that Bacon's view of induction could not be fully understood without acknowledging the Aristotelian background from which it arises. I'll discuss that in Part 2; for now, I want to discuss the natural magic tradition that Bacon uses for his own purposes. Since Bacon doesn't address any particular magicians in his criticism, neither will I, but I will discuss his general criticism of the practice of magic. 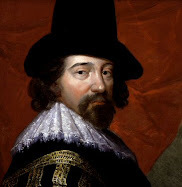 In the 17th Century, Francis Bacon wrote a two-book work, the Novum Organum (New Instrument). Its aims were extraordinarily vast, covering both theoretical and practical goals. Bacon proposed a new epistemology, a new way to reach knowledge, to form concepts or notions, and to know the true causes of natural events—induction, as Bacon proposed it, would be the "new instrument" which would bring us to a greater understanding of things. Practically, induction, properly carried out, would lead to a full control of nature by mankind, and thus to a general improvement of our condition in the world. 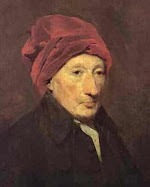 His theory of induction is a bit technical, to say the least. To fully understand it, one would need to know a little bit about the general aims of the natural magic tradition (such as alchemy), a great deal of Aristotle's philosophy, particularly its metaphysics, physics, and epistemology (especially the treatises on logic collectively known as the "Organon"), and the Scholastic philosophy which revamped Aristotle's. Instead of discussing all that, I'll save it all for another time, and focus now on nine things that Bacon said are helps in our ability to properly inductively reason.